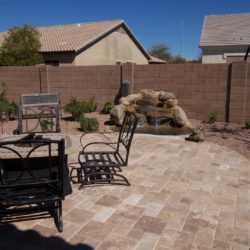 Nothing contrasts the hot arid weather in Phoenix like cool trickling water features that Phoenix residents enjoy year round. 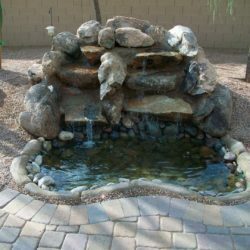 If you are looking to create a true landscape oasis than you need a soothing natural waterfall or custom water feature. 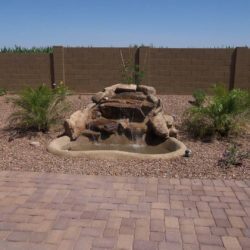 The landscapers at MasterAZscapes LLC work with your ideas to help you design a water feature that best fits your landscape and budget. 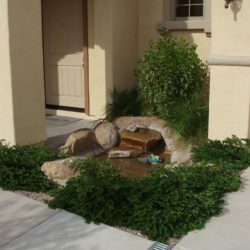 We offer our custom-made water features in a variety of styles ranging from natural boulder water features, to bubbling brooks, to prefabricated bowls, wading pools, fountains and more. 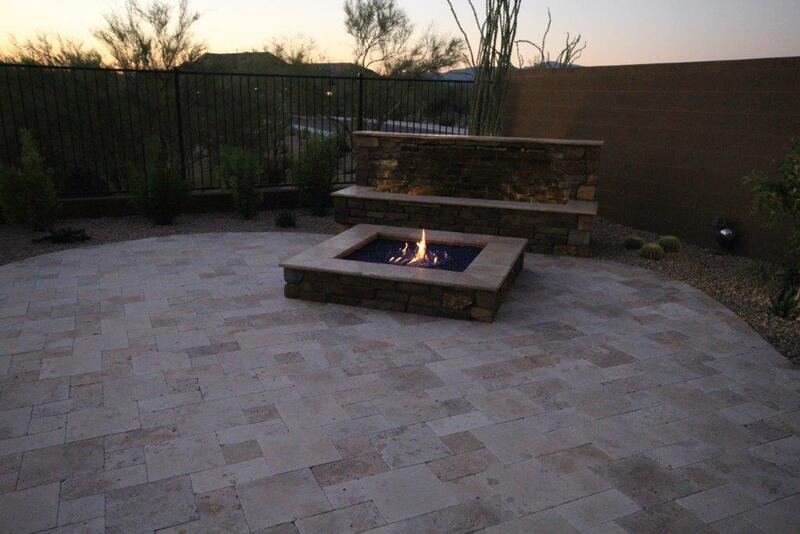 MasterAZscapes accommodates any design that fits your style. 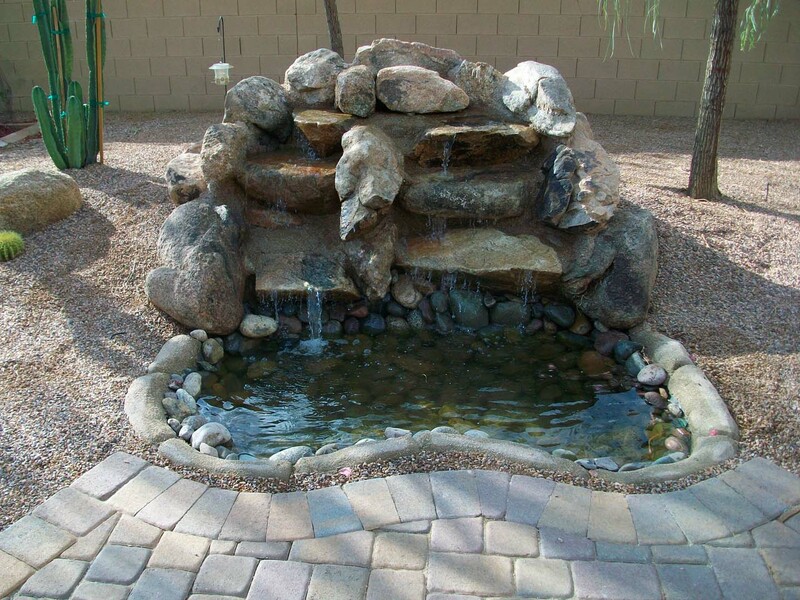 Some people prefer a zen garden approach while others like a Greco-Roman style mosaic water feature. 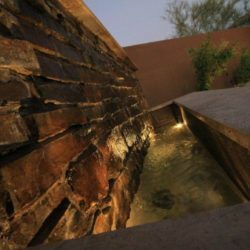 Whether you enjoy the look of a rough, natural, rocky water feature or a refined water feature with straight-edges and a modern look, we can help you from design to installation. 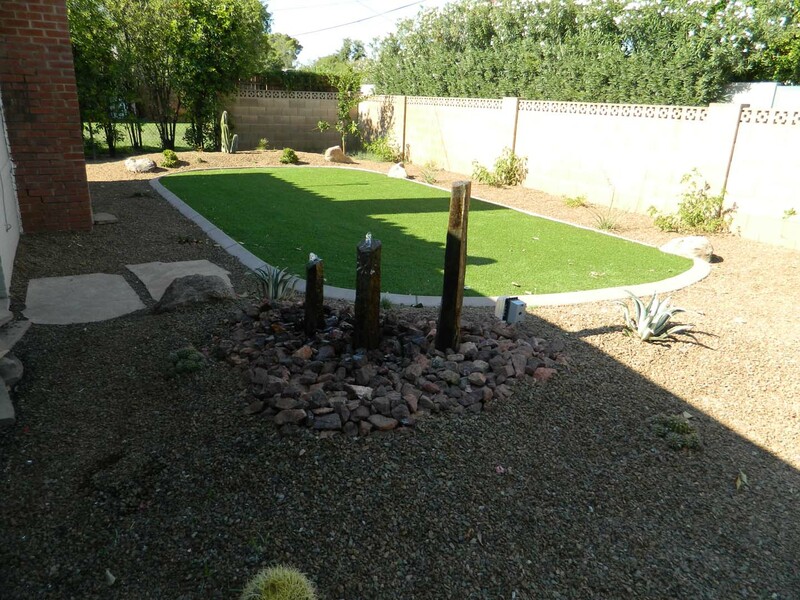 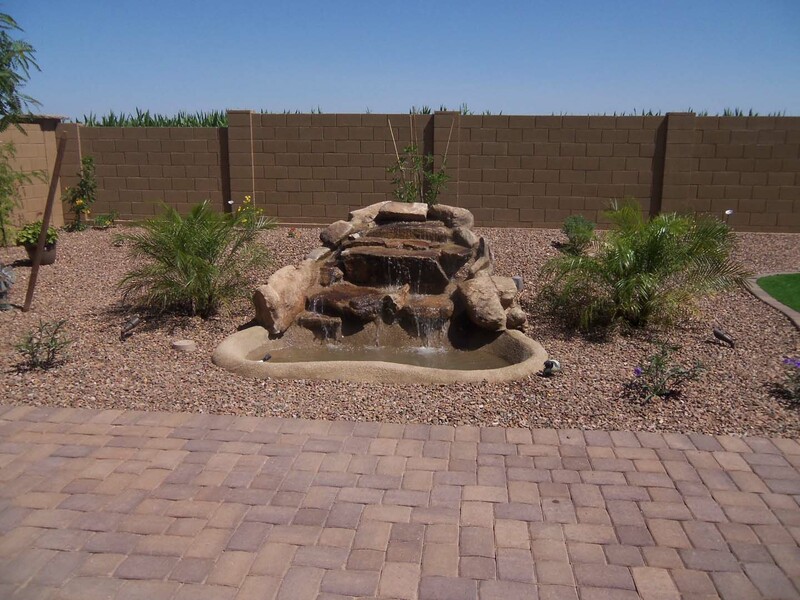 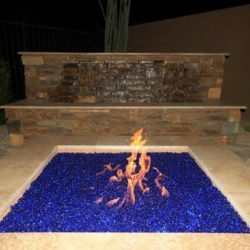 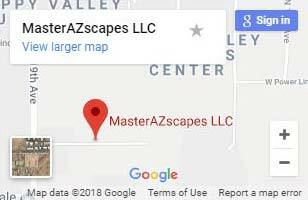 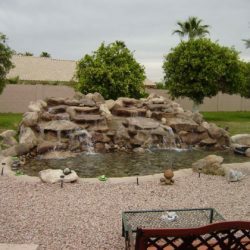 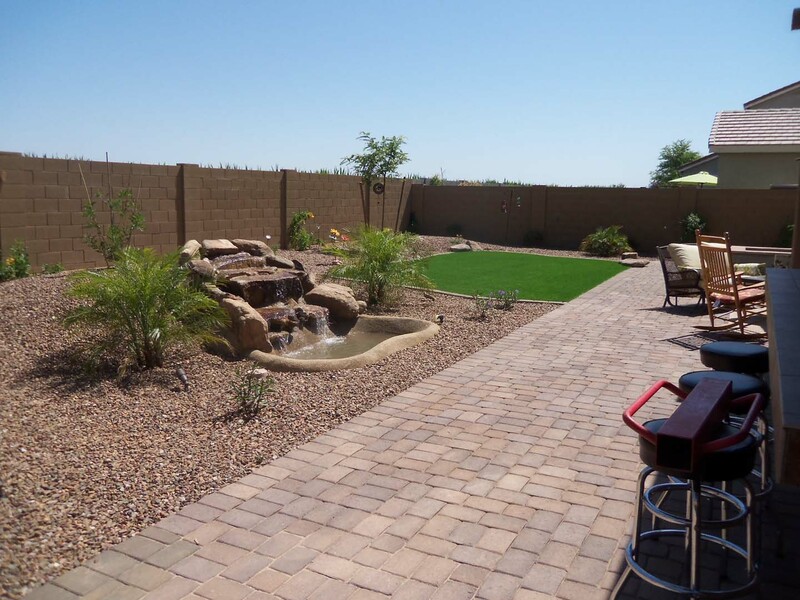 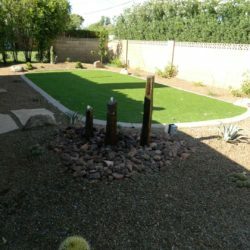 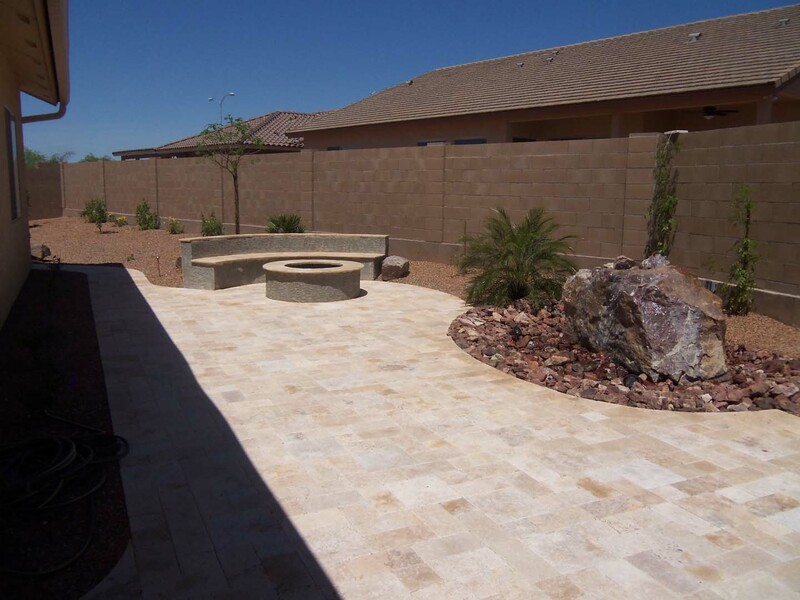 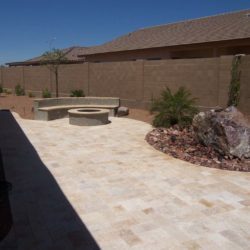 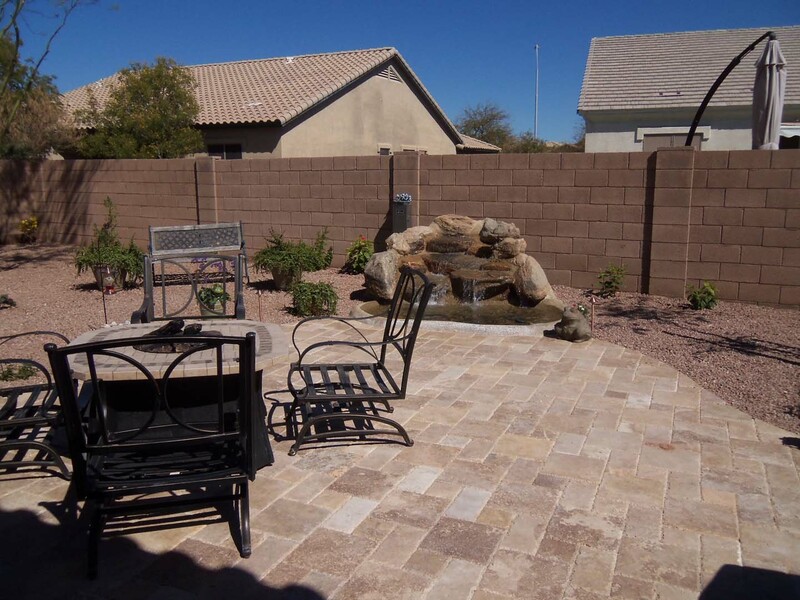 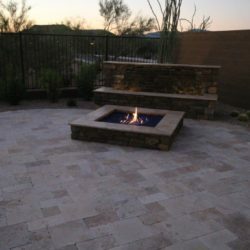 MasterAZscapes has experienced contractors who have the know how to masterfully create beautiful water features Phoenix homeowners can fully utilize. 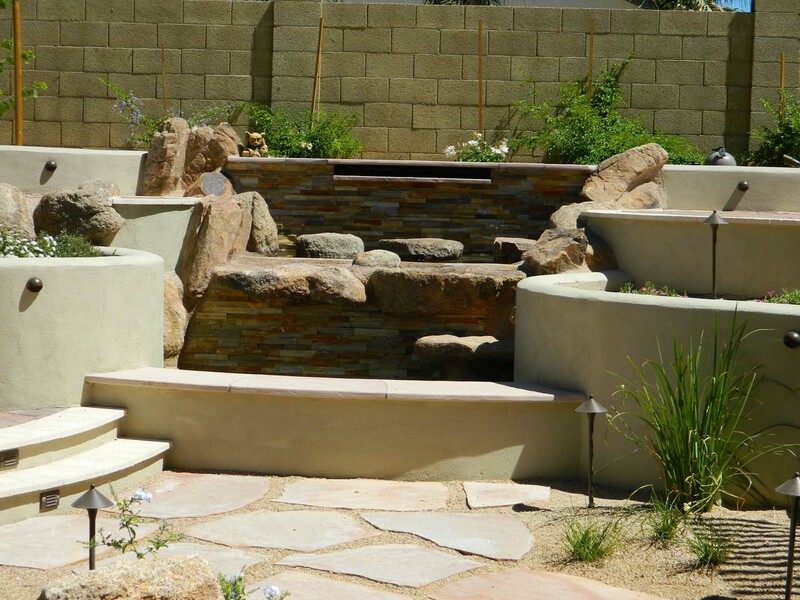 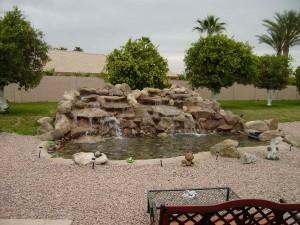 We go over all the possibilities and options with you This ensures your water feature will be exactly what you want. 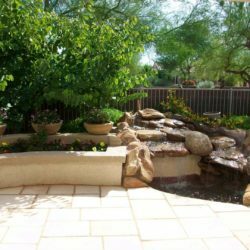 Our contractors also go over all pertinent information about cleaning and maintaining your water feature, so you feel comfortable with how it all works. 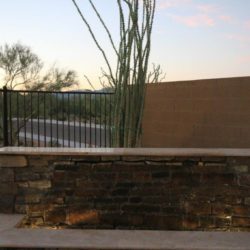 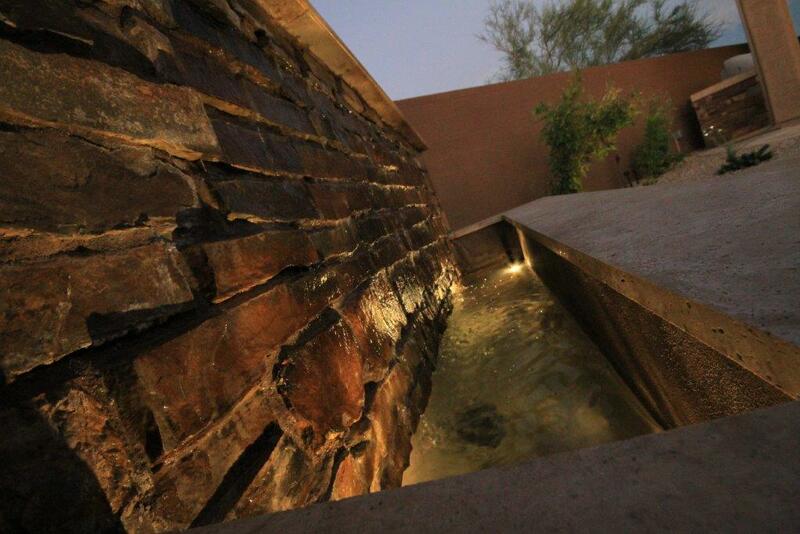 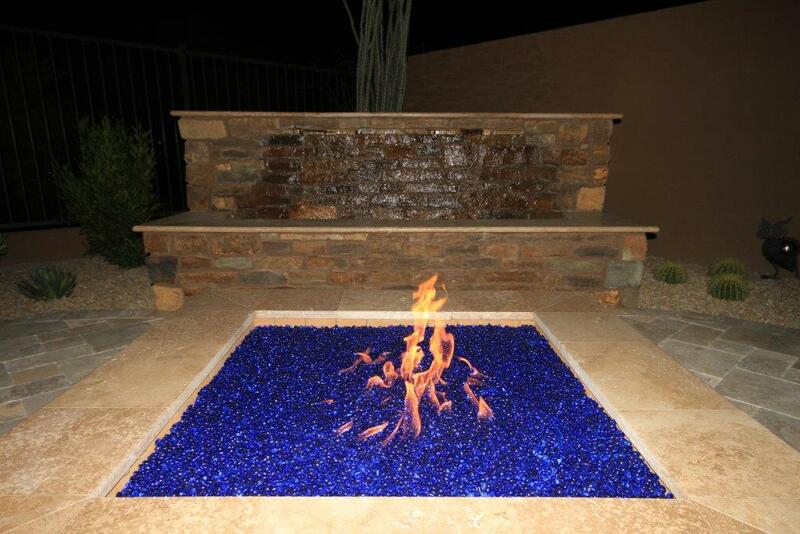 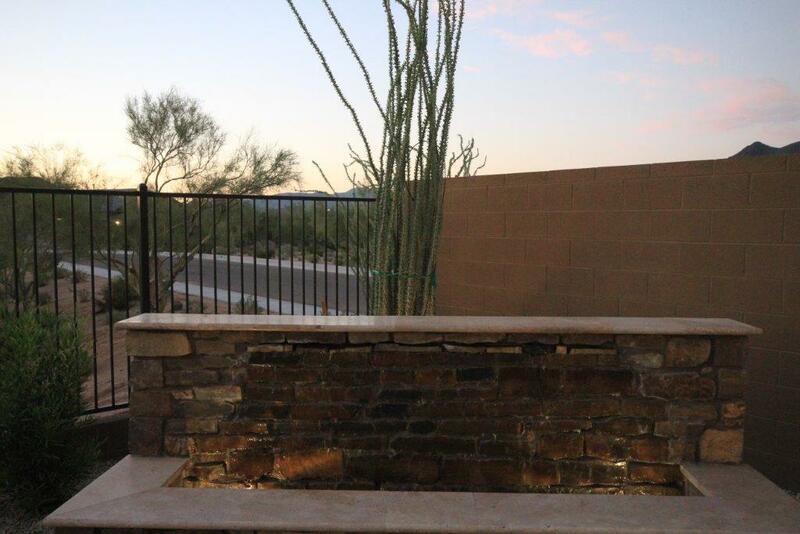 When it comes to water features, Phoenix trusts our custom designed and handcrafted work that guarantees you that no one else will have anything just like it. 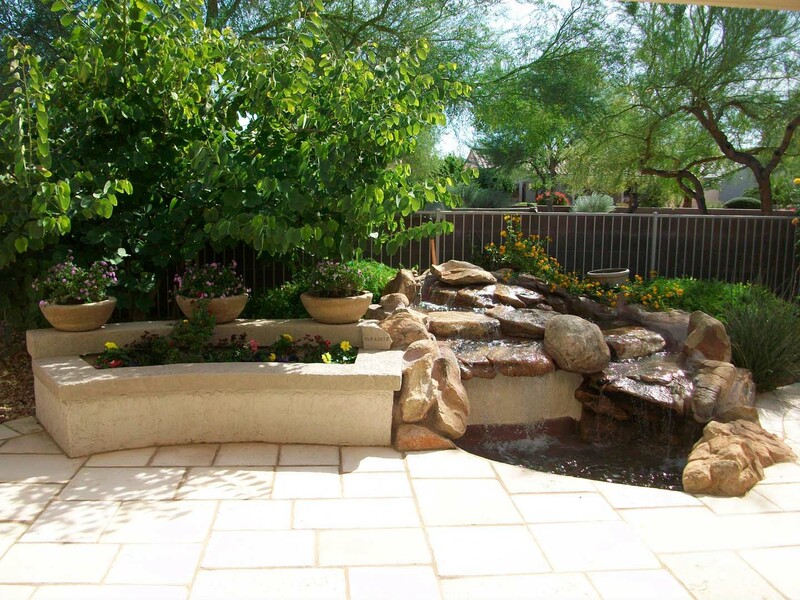 Water features change a space from just a yard into an outdoor relaxation space. 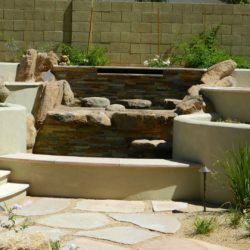 Taking in your existing landscape as well as the intention you have for your water feature, we design the perfect feature for you. 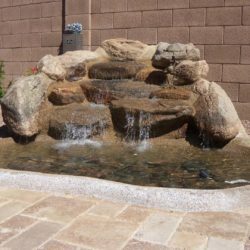 If you want the relaxing sound of falling water we can place a small water feature next to your favorite spot to sit in your yard. 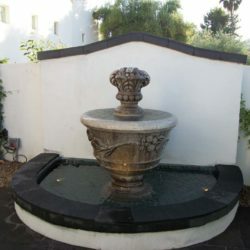 If you want a cooling space to dip your feet while you chat with friends and family we can create a water feature with a small pool and sitting space around it. 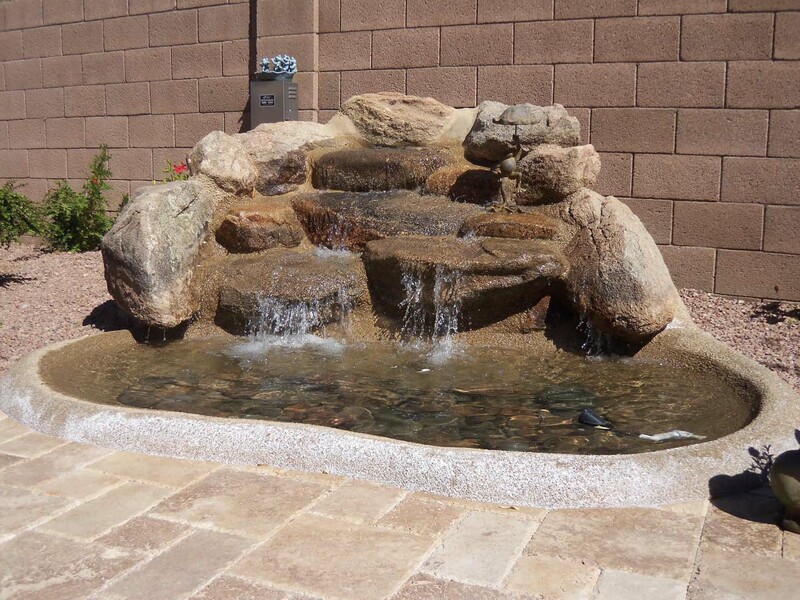 If you want a gushing geyser to throw water and mist into the air we can install that for you as well. 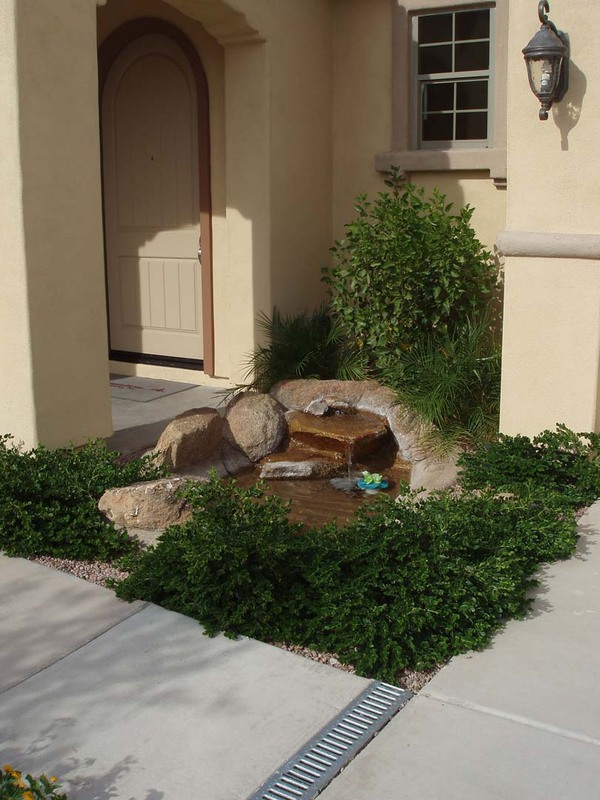 Turn your yard into a vacation-like space by adding a coy pond or a spring. 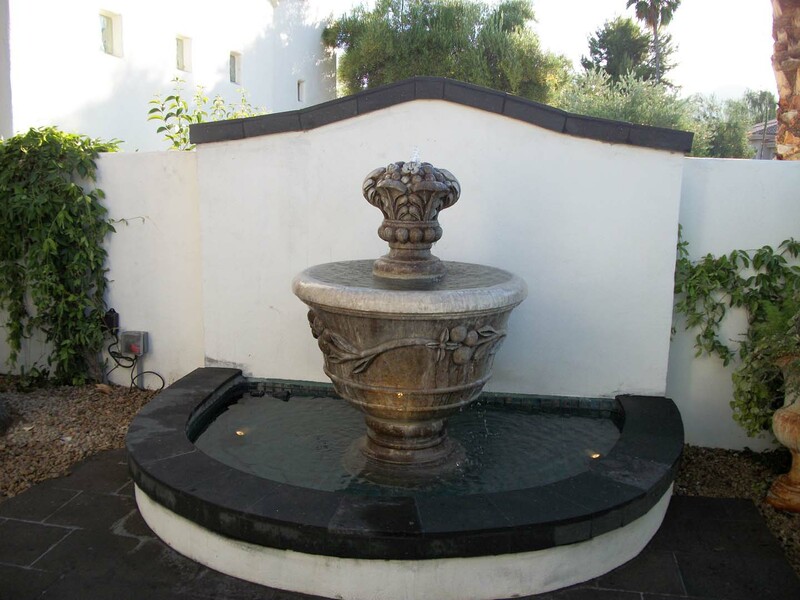 Whatever your preference, we can design and install the Phoenix water feature you dream of. 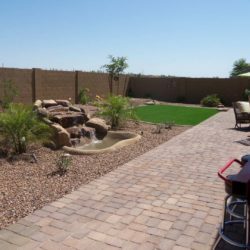 Give us a call (623) 780-0474 or Contact Us today to discuss some of the options we have available.